La Yuan is Newcastle’s only authentic Sichuan Chinese restaurant, based in the heart of Newcastle city centre, just moments from China Town. 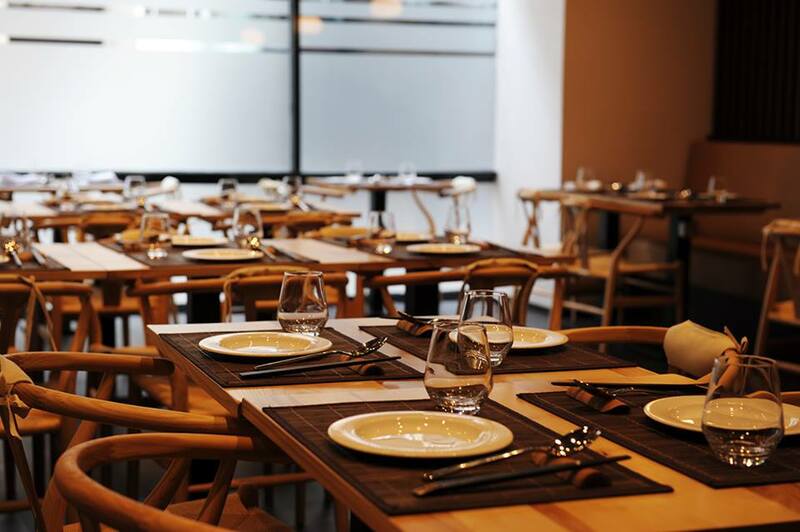 The restaurant itself is modern with a relaxed atmosphere, with a friendly team on hand to recommend dishes or talk customers through their extensive Chinese Tea menu. La Yuan’s food menu fully embraces the Sichuan province’s cuisine, which is renowned across China for the harmonious blending of flavours, boasting delicious dishes such as Dan Dan Noodles, Red Oil Dumplings, Gung Bao King Prawns, Shuei Ju Beef and more. The food at La Yuan is always made with fresh and healthy ingredients, without compromising any of the rich, unique Sichuan flavours that can’t be found anywhere else in the city. 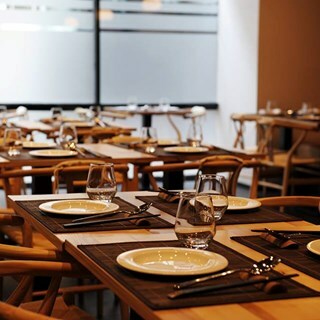 The reviews of La Yuan from customers and local food bloggers speak for themselves, with many people claiming La Yuan is the best Chinese restaurant in the city, as well as a vast range of other regular positive feedback. Amazing food, best meal I’ve had in a long time! Excellent Szechuan food. High quality ingredients combined with clever cooking and bags of flavour. I love it. Fantastic restaurant and incredible authentic food. Very creative menu, was excited to give dressed jellyfish a try! The staff are amazing and so helpful! Probably my favourite restaurant in all of Newcastle and one of the best Chinese meals I've had my entire life. Beautifully presented food, high quality and great taste and very stylish venue. We booked a week ahead and received a confirmation email a few days before which is reassuring. On arriving we were greeted and seated and the ordering of drinks and food was perfectly conducted with personable and efficient staff present at all times. The food arrived and was delicious, as was the wine. All through the evening we were treated to great service which was friendly, and did not encounter any issues at all. Would definitely recommend the different and interesting menu of authentic Szechuan dishes. Restrooms were also immaculate. We had lunch at 2pm. So it was quiet. Great food and service and good portion sizes and nice venue. Amazing authentic Sichuan food. Can not fault. Second time visiting, this time we got Yu Shiang aubergine and Shuei Ju beef with the red oil dumplings and rice. So yummy! The beef was so tender and flavoursome! Also, great spice level, we went for authentic (we love spicy food though, this was quite hot for me which i like, but for the untrained I’d go for the reduced spice). You guys are now one of our favourite restaurants in Newcastle! I can’t wait to come back again soon and try some other dishes! Great food, nice place, service was also good. Absolutely amazing! Service was amazing, the waiter was very attentive and we had a good conversation. My partner, who lived in the Sichuan province for a year, said that this was the best food he has had since he got back 5 years ago. We will 100% be coming back! Thank you for a wonderful late lunch. We ate at a quiet time which is why I only gave 3 stars for atmosphere. Food was excellent. Fresh & flavoursome. Gung Bao King prawns triumphant! Service was impeccable. We will return. Lunchtime meal for eight of us; new menu items (we've visited before) hit the right spot - dumplings were AMAZINGLY good. Although vegetarian options were limited, the food we had was great, especially the aubergine. The restaurant had a really nice ambience, and the service was very friendly. Lovely food and relaxed setting. Food delicious, even if a bit too spicy for me. I had the Gung Bao chicken. Generous rice portions. Could be spicier, but overall flavour of food is good. A really lovely restaurant in a great location. Staff are super friendly and attentive. The food is good, but definitely not standard Chinese and it contains lots of chilli. A really interesting choice of dishes made for some great conversation amongst our small group. We had a great meal that worked out less than £30 each so good value too!